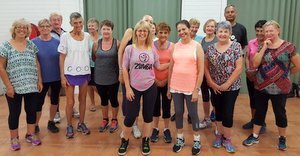 Zumba Gold classes for seniors are held at COTA NT in Spillett House every Wednesday (evening) and Friday (morning) – with the exception of instructor ‘away days’. Zumba Gold is part of our Fit for Life program. Classes focus on cardiovascular, muscular conditioning, flexibility and balance. check with your doctor first before starting any exercise program (see About Zumba Gold notes below). if you have any concerns regarding your fitness level, ability or skill or undertake this activity, you should seek the appropriate independent advice. Please note, neither the instructor or COTA staff are authorised to give any advice in this regard. bring comfortable clothes and shoes, drink bottle and towel. Zumba fitness is a Latin-dance inspired workout that involves a fun fusion of dance moves from styles like Salsa, Merengue, Reggaeton and Flamenco. Zumba in the Spanish language means, “buzz like a bee and move fast.” It is one of the most popular group exercise classes on the planet with over 12 million participants ‘zumba-ing’ in 125 countries. 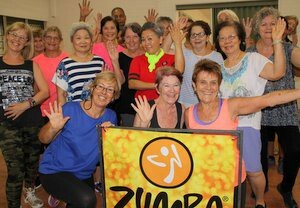 Zumba Gold is a modified version of regular Zumba classes, designed for seniors, beginners and other special populations who want to keep active. 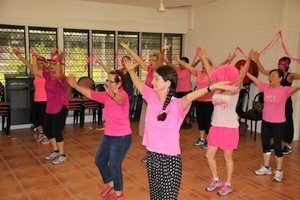 The main intention of Zumba Gold classes is to encourage everyone to move a little and have a lot of fun. Moves do not have to be perfect and can be approached by everyone, regardless of fitness level and dance experience. Zumba Gold recreates the original moves you love at a lower intensity. Classes are around 45 minutes, the music is motivating and you have fun in an enjoyable social environment. 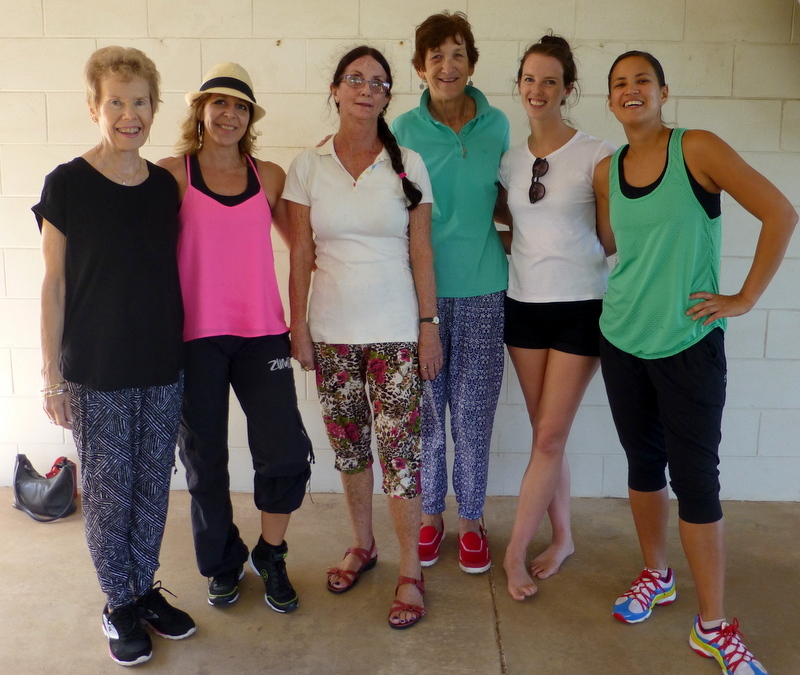 In Zumba Gold classes, care is taken about transitions between dance moves to make them smoother and less impactful on the knees and choreography has been thoughtfully designed with aging bodies in mind. 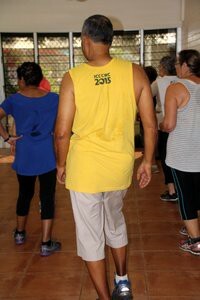 However, it is an aerobic activity and cardio workout and it is recommended that everyone taking a Zumba Gold class – or participating in other exercise – should seek their doctor’s advice first.